While working on the current upcoming installment in my BizTalk Server 2013 R2 New Features Series, I realized that I did not yet have a version of Martijn Hoogendoorn’s excellent BizTalk Server Pipeline Component Wizard that would work happily in Visual Studio 2013. As a result, I filed this issue, and then made the necessary modifications to make it work in Visual Studio 2013 with BizTalk Server 2013 R2. It is now available for download here (updated 27-FEB-2015) if you want to give it a test run. Unfortunately, that has consumed a significant portion of my evening, and thus the next installment in the blog series will be delayed. But fear not, there is some really cool stuff just around the corner. In other news, Integrate 2014 registration is now live, and is only 72 days away! It’s going to be an awesome start to a cool Redmond December as 300-400 BizTalk enthusiasts from around the globe converge on the Microsoft campus for a few days of announcements, learning, networking, and community. Well, that’s all for now. I hope to see you there! 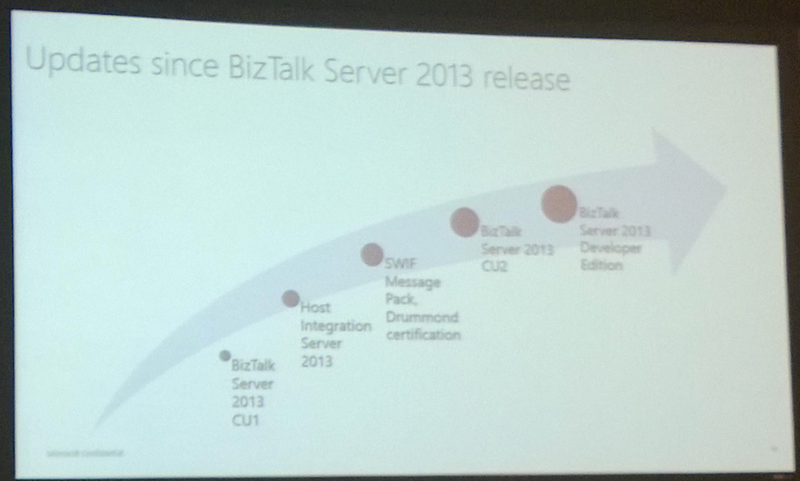 The week before this last holiday week was quite a time to be in the BizTalk world. The BizTalk Integration Summit 2013 kicked off at the swanky Fairmont Olympic Hotel in Seattle, Washington bringing with it a defined release cadence and roadmap, new cloud-based product announcements, and even a peek into the plans for the upcoming on-premise version of BizTalk Server. 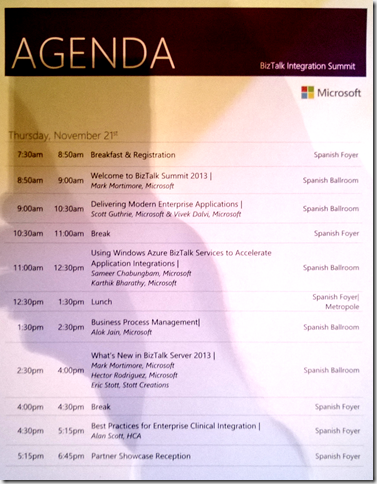 The first peek into what the Thursday-Friday event would hold is captured in this agenda from the first day. The first day contained a single track of content, where all attendees would be able to experience the same messaging and presentations. The second day provided two tracks for those who wanted to chose their own adventure. The man in the Red Polo himself – Scott Guthrie kicked off the event – and also took the opportunity to announce the general availability of Windows Azure BizTalk Services. To clarify, it’s real and released – no longer in preview – but also not a static unchanging thing (as we will see later). We also had a new face bringing the initial welcome – Mark Moritmore. He’s the man behind the event, having received the torch passed by Kent Brown (who is now working with NY-based integration powerhouse Nimbo). This guy is passionate about the product, and is a long-term thinker. 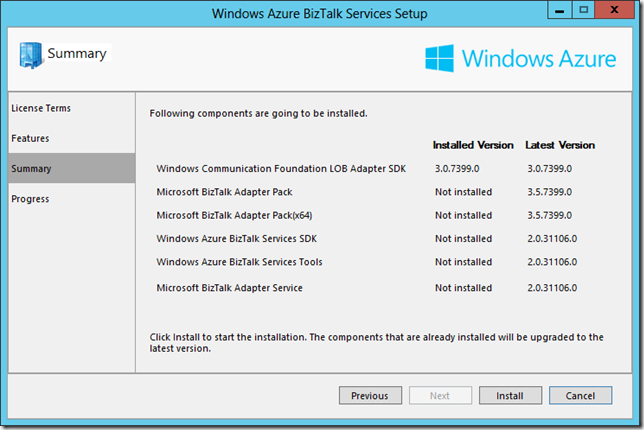 He’s exactly what BizTalk needs as organizations continue to choose BizTalk Server and Windows Azure BizTalk Services for mission critical integration applications that are expected to have long lifespans. 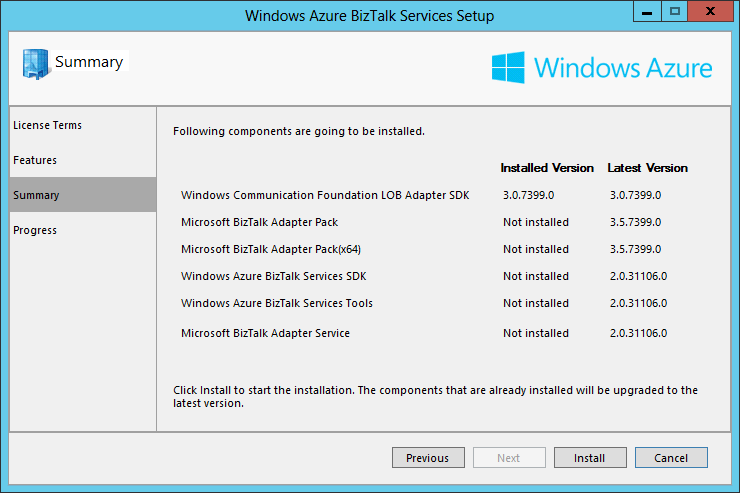 The announcement of the general availability of Windows Azure BizTalk Services left me itching to get the bits, and “play” with them for lack of a better term. However, all the turkey from Thanksgiving put me a week behind the times and I just had a chance to download/install the freshly released SDK last night. One of the changes I noticed right away (from the last time I had installed one of the preview SDKs), is that I wasn’t having to hunt for miscellaneous MSIs to install the pre-requisite components. 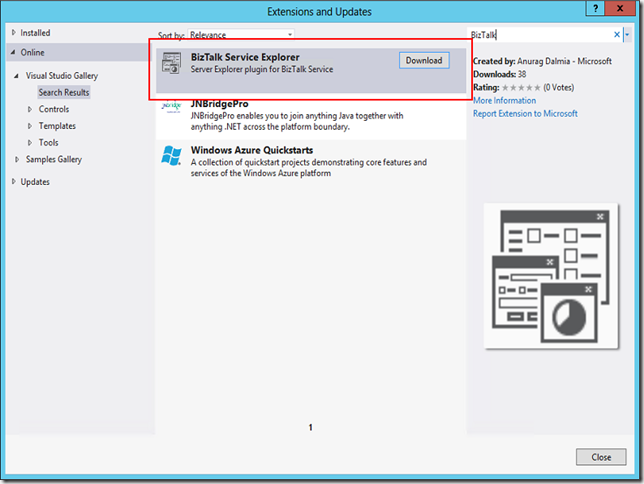 The new streamlined setup just makes it happen (though you’d better have a SQL Server or SQL Server Express instance handy if you’re planning on using the BizTalk Adapter Service – it’s not going to do that for you). 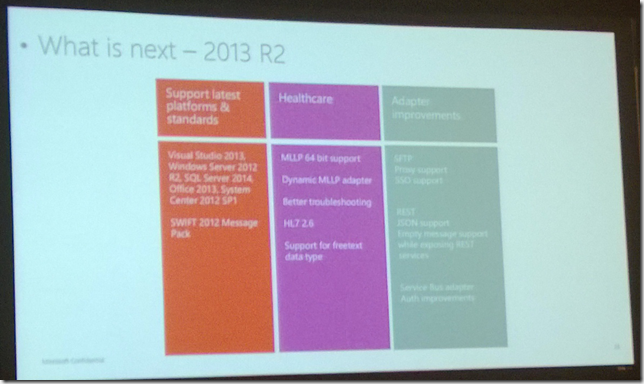 One of the other things demoed at the summit was the BizTalk Service Explorer Visual Studio Extension. This is a nice little plug-in for the Server Explorer window that allows you to interact with BizTalk Services artifacts in really cool ways (e.g., submitting a test message without leaving Visual Studio). While the UI looks/feels clunky at times, it definitely gets the job done. After seeing it, this will be on my list of extensions to install by default. Looking at WABS from the perspective of migrating existing on-premise solutions to the cloud, I’m not sure the story is really complete there (and that’s not some huge secret – WABS is still in active development, and upcoming changes will erase most of the concerns I’m about to mention). First, as noted in an earlier post, I did have some expectations around the map upgrade tool that still weren’t really met with this release. I had at least hoped the limitations in the preview would not be seen in the final release, or that I would get happier results than I was seeing before out of the tool at the very least. Another tool that ships with the SDK is a TPM migration tool (essentially to move parties/profiles/agreements to the cloud. While this is actually done pretty well, there is still some mismatch in capabilities (e.g., EDIFACT is available on-premise, but is still a future delivery for WABS) that will prevent moving all solutions. I took a look at the X12 schemas while thinking through some integrations I’ve worked on in the past, and noticed an absence of the schemas used for HIPAA sub-document splitting. To be fair, I haven’t actually had an opportunity to test to see if that functionality is present (for the most part the schemas are 100% clones of the on-premise schemas, so maybe those extensions are implemented in the WABS version of the EDI Disassembler), but it’s not looking promising. 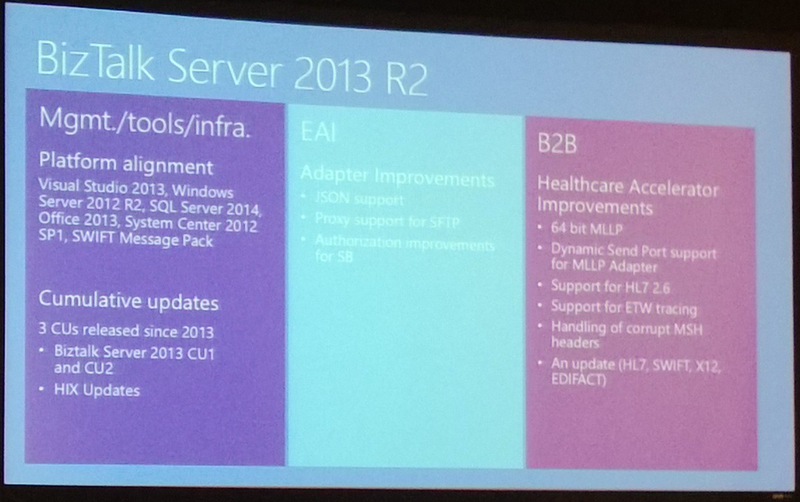 So those integrations would potentially stay on-premise as well. Another thing that makes me more than a little bit uncomfortable is the direct deployment from Visual Studio. 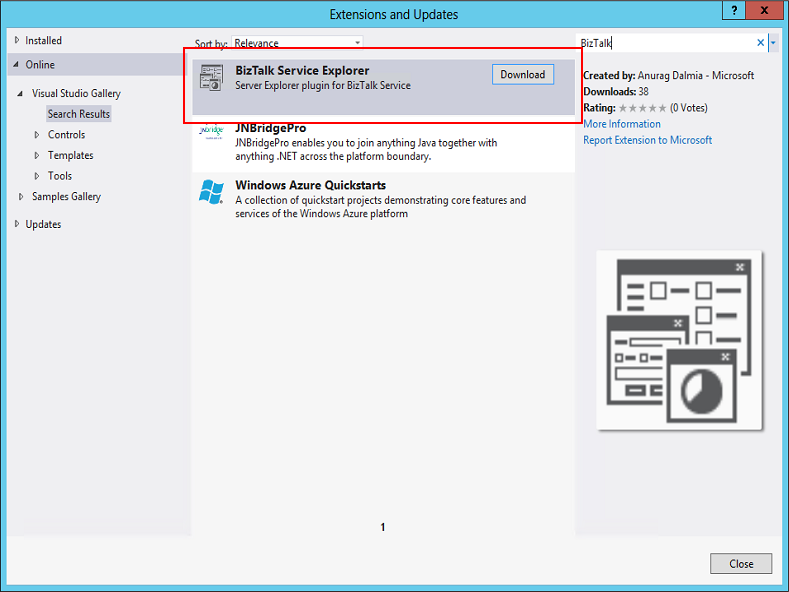 I’m hoping we will see more solutions like Michael Stephenson’s AppFx.ServiceBus.Build that will make deployment a happier experience (and hopefully a fully automated one that doesn’t live in Visual Studio). That’s not the end of the story though. I don’t intend to write this in such a way that it seems I’m saying that WABS is somehow unsuitable. Instead these are the places where there is still work to be done – and I’ll emphasize again – work is being done. EDIFACT support was confirmed as coming, along with a new rules engine (with new tooling), support for Windows Workflow Foundation workflows, AS2 support, and other fun extensibility points (e.g., BAM-like tracking, easy to build/lightweight adapters). So we’re getting a better B2B story, and also starting to see the seeds of a BPM story emerge within WABS. Essentially WABS is doing great things already (for straight-forward X12 integrations built fresh for WABS), and will be doing even better things in the future. 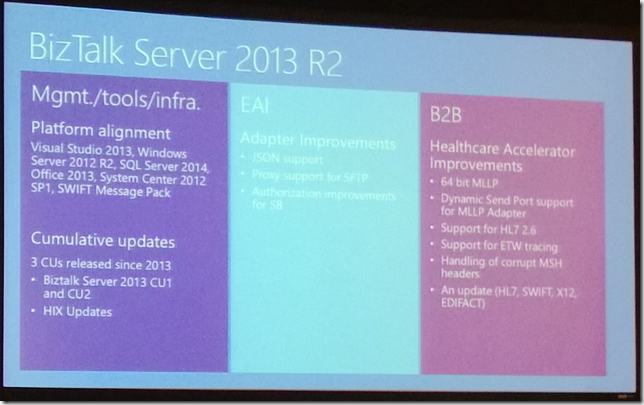 Another point of discussion was the present state of BizTalk Server 2013 on-premise, as well as a road map for the future. 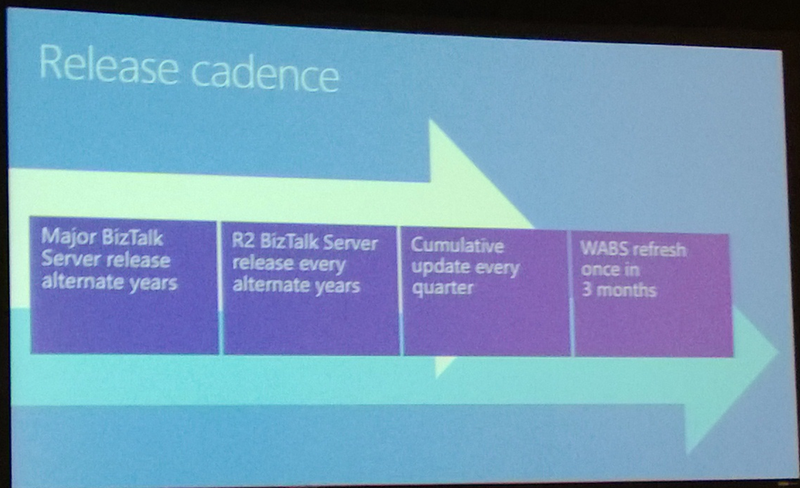 Since the release of BizTalk Server 2013, the BizTalk team has been hard at work, and shipping updates and new functionality (e.g., HIS 2013, which had been delayed due to close work between the product team and TAP customers to get everything happy and ready for release). 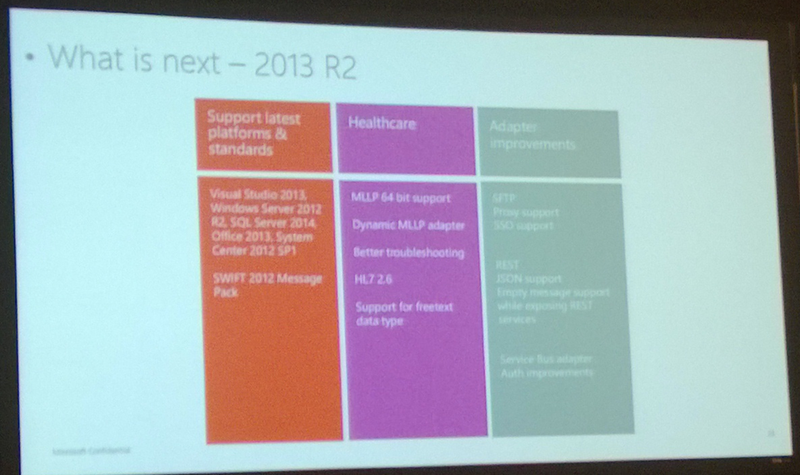 Looking at this slide, I feel like I’m looking at a description of the release cadence for Visual Studio. 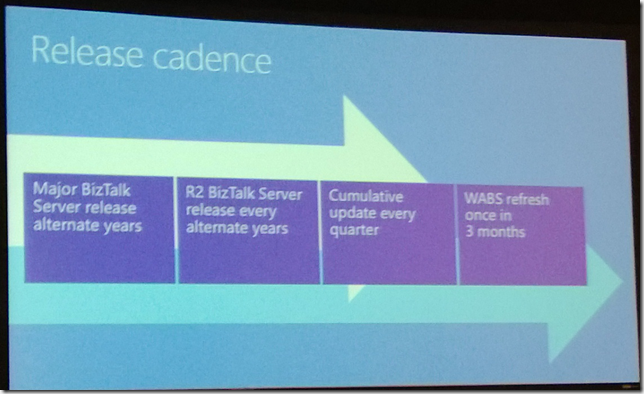 Which is nice, because in a way this provides some level of guarantee that I’m going to be able to develop BizTalk Server artifacts in vLatest of Visual Studio (give or take a few months in this case). 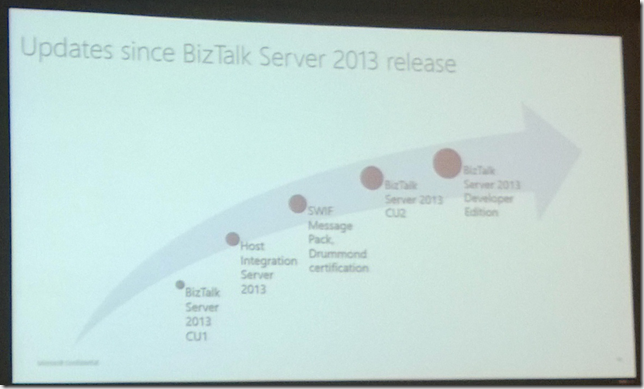 When you get down to the bottom of it, it really is an exciting road ahead for BizTalk Server. 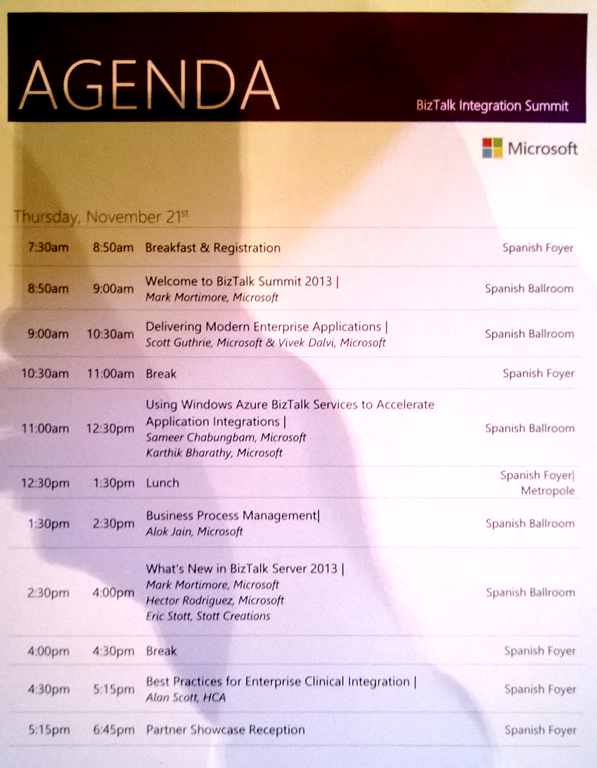 I had a lot of fun this year at the BizTalk Integration Summit, and I’m hoping that this becomes an annual tradition and opportunity for the BizTalk community to come together in-person, and have a dialog with the team that’s building the product and service. Before I close this post out, I want to give a shout out and thanks to everyone that stopped by our table and has found themselves sporting a new tablet cover with the QuickLearn Training logo (spread the love! ), and a thanks to everyone who made it to our party at the Rock Bottom Brewery – lots of good times and good conversations were had there! Well, it looks like I don’t have an excuse to sit in this restaurant any longer (one of the upper floors of a seemingly endless concourse at DEN). I’m going to go catch the rest of my flight out to Houston (completely different part of Houston than last time) to teach some TFS this week, and I’ll be back in short order. Until then, take care!